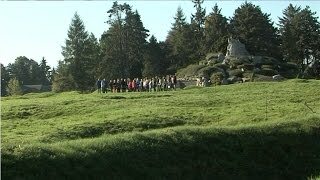 We are delighted that our WW1 Battlefields film, available as an entire film or in sections on You Tube, is being used across the UK as part of the WW1 Centenary celebrations. The film was produced in order to raise awareness of World War One and the importance of remembering those who made the ultimate sacrifice one hundred years ago. To date the material has been used extensively in schools throughout Scotland as part of the Curriculum For Excellence and has proven an effective learning tool. However, it is great to know that a wider audience is finding the film useful, with an organisation in Lewisham showing it only last week.